Previously, we’ve written about how to take practice LSATs under timed conditions (here and here and here), and how to replicate the testing experience as closely as possible. But, there’s another set of valuable exercises you can use in conjunction with practice tests, and these are unfortunately practiced far less frequently by students. So, what are they? Predict the number of questions you answered correctly in each section (include the experimental if one is included in your exam). If needed, make “best case” and worst case” predictions for each section. 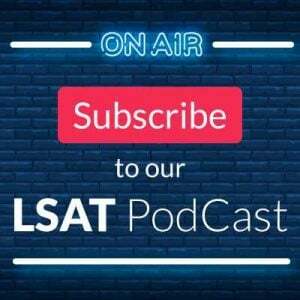 Add the numbers up from item #1 above (but exclude the experimental), and and then use that number to predict your final score on the LSAT (and, if you used the best/worst approach, predict best case and worst case scores). 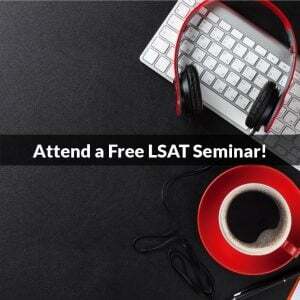 Making this estimation will also force you to predict the scoring scale for the exam. On the basis of the predicted final score produced in item #2, determine whether you would keep your score or cancel it. Most students, when taking practice tests, don’t formally go through the process described above. And hopefully, they will never need it. But, a fair number of students take each LSAT and then thereafter engage in a mental debate as to whether they should keep their scores, or cancel. At that point, they end up going through the estimation process above, which is the correct approach. But, if you haven’t ever tried estimating your score before, your accuracy the first time out is not likely to be that good. And that means you are making a decision on the basis of questionable data. 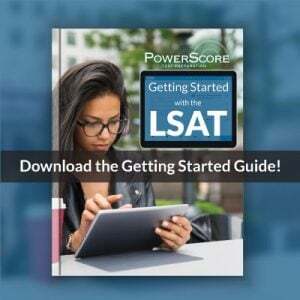 So, while you hope you won’t ever be in a position where you are uncertain of whether you should keep your score or not, to best prepare for that possibility, you should always go through the score estimation and cancel decision process for every full-length practice LSAT you take. At first, you may not be very good at it, but you will get better, and that is the point of the exercise. Then, if you do need to go through that process after the real LSAT, you’ll have a much better feeling about how you did. Bonus point: if you really want to challenge yourself, after each test, write down a synopsis of the Logic Games and Reading Comp passages, as well as the Logical Reasoning questions you felt were most challenging. In my experience, the students who remember the most about the test tend to score the best. Those that don’t remember much at all, or who think the test was a blur, tend not to score as well as they could. See how much you can remember, and whether that correlates with your actual practice test score for each exam. In that way, you can develop an accurate process to know what you should do after you take the real thing. Have questions or comments? Please post them below! Photo: “Cancelled!” courtesy of seanfoneill.